Has Pfizer's pursuit of AstraZeneca finally come to an end? The slump in the share price this morning suggests the view in the City is that it's running on fumes and that Pfizer is probably going to have to walk away. 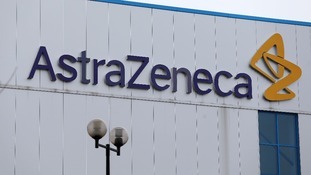 There is, in theory, still one week to coax AstraZeneca's board to enter into negotiations. The board says the price is "inadequate" and that Pfizer also failed to "make a compelling strategic, business or value case", its bid is "driven by cost savings and tax minimisation" and would have "serious consequences for the Company, our employees and the life-sciences sector in the UK". Pfizer's "final" offer of £55 a share has been rebuffed but AstraZeneca clearly indicates this morning that a bid above £58 would been enough to get them around a table. But it's almost unthinkable that Pfizer will raise again. The company is clearly communicating "that's it, we're done". The next move is AstraZeneca's. The AstraZeneca board appears resolute. The language it used to reject Pfizer's offer doesn't hint at much room for manoeuvre. Remember though that the AstraZeneca board is there to act in the interests of the owners. Some shareholders - AXA and Schroders - have made it pretty clear that feel the company should engage. Even those who championed AstraZeneca's independence are now having their resolve tested as the company's share price (£35 before "first contact") heads back down to earth at speed. Pfizer has given up trying to reason with AstraZeneca's board. Its only hope of a deal now is if the company's shareholders overturn the decision. I can't, off-hand, think of when a rebellion like that last happened but Pfizer's executive team spent time last week meeting with AstraZeneca's largest shareholders so they will feel they know the mood. We'll see.